A line of white towels in the wind. A dog that is not my own. when all is flux. Be still. 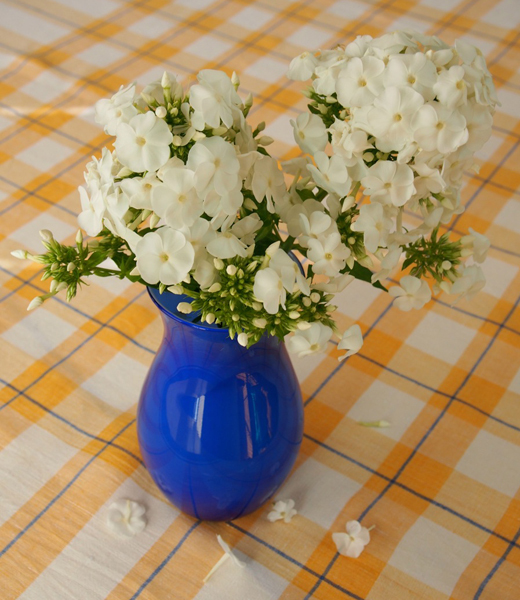 White phlox dying in a blue vase. breathing Delphic fumes on to the page. The fan moves slowly above my head. Summer revolving in heat and rain. and I alone listening to the wind.